A real estate transaction is typically a major financial investment and future commitment. Dealing with the bank and loan funding; coordinating inspections with realtors, professionals and current owners; the endless planning and expectations; and the sales pressure in general can be exciting but also overwhelming. 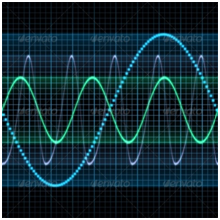 Electromagnetic fields (EMF) have traditionally not been part of a due diligence real estate inspection and evaluation. This has changed in the last few years. Concerns about potential health impacts have brought up questions about significant EMF and radio frequency (RF) sources at the property, building or in its proximity. There are so many considerations and decisions to make; does the location work for the commute to work and the children’s school; in what style should the new building be furnished; is remodeling needed; how far can we stretch the budget – the list does on and on. One really important question is: Does the building fulfill our needs for a safe and healthy home or office? We don’t want to find out after the expense of moving that the new building has elevated EMF or RF fields in sensitive areas such as bedrooms, children’s play areas or our office space. The best time to prevent surprises later on is during the initial inspection period before all paperwork is signed and the purchase is completed. During this inspection period, different professional trades are evaluating the property and building(s) for possible shortcomings such as building defects, faulty electrical installations, roof failures, etc. However, these inspections are not designed to determine if a building or property presents low or high EMF or RF environments. Many indoor environmental and public health research professionals feel that EMF/RF evaluations and measurements should be a part of a healthy building inspection. While the scientific community is still divided, many scientists and institutions recommend “prudent avoidance” as the safest approach. An EMF/RF evaluation at the start of the real estate transaction before remodeling begins is the best and most cost effective time to implement possible shielding methods. Only trained and experienced professionals with the appropriate and calibrated equipment can determine the exposure in the areas of concern. AC-magnetic fields, commonly referred to as EMF, can be hidden and only detected using appropriate EMF testing services protocols and professional equipment. Certain electrical installations and lighting features, or wiring errors that are code violations can cause elevated AC-magnetic fields. These elevated EMF fields and the possible code violations often go undetected in regular home inspections that solely focus on functionality. Why is it important for you to know about magnetic fields? Our indoor environment has changed dramatically in the past ten years. Many wireless devices are impacting our indoor environment such as cellular antennas, TV and radio broadcasting transmitter, radar, wireless router and access points. Many are added all the time, such as video game systems, , wireless printers, baby monitors, security systems, wireless devices and appliances controlled with the latest mobile phone app. This trend will only continue. Do you believe that our recently and dramatically changed indoor environment has no effect on our health and development of our children or performance and well being of employees? Or do you feel we should be cautious, and choose to limit our personal exposure in areas where we spend a lot of time such as sleeping areas, children’s play areas and our work areas. Many organizations and countries outside the US recommend lower long-term exposure limits and precautionary action levels. Why is that so? Are they more sensitive individuals or are we unaware of the potential dangers? At EMF & RF Solutions, we don’t speculate. We assess an area using scientific methods to provide you with the information to make an educated decision and exercise your right to choose what you want to be exposed to in your own home, building or office.